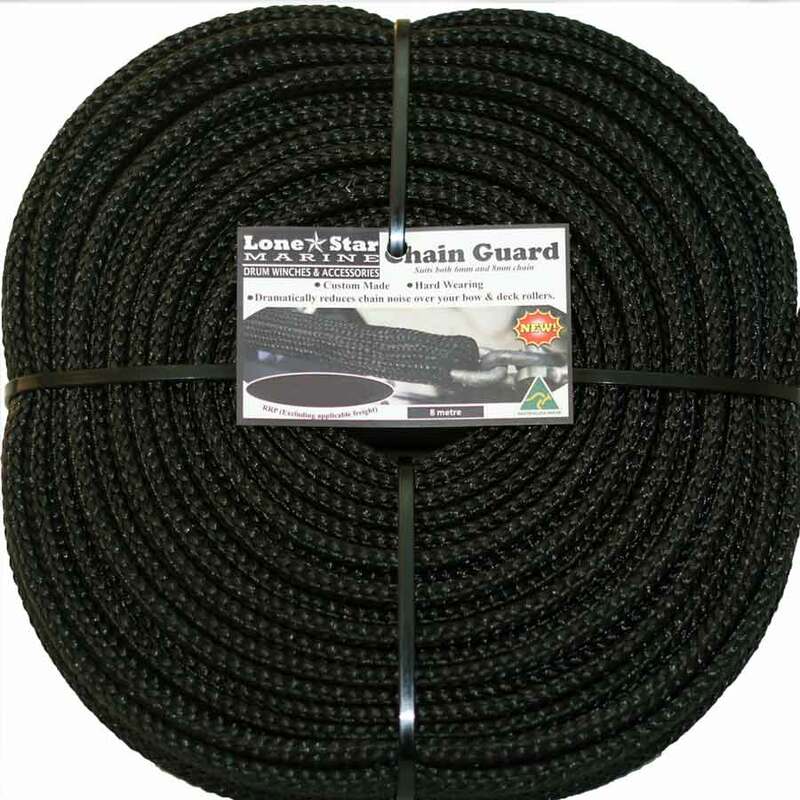 Lone Star Marine’s Chain Guard was developed to reduce the noise of chain going over the deck rollers and hawse pipes, as well as protect the boat from bumps and scrapes. Another Original product from LSM. 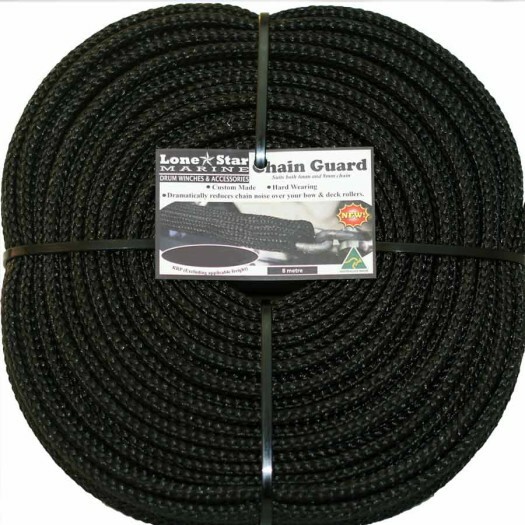 The chain guard by Lone Star Marine was developed in order to reduce the noise of chain going over the deck rollers and hawse pipes, as well as protect the boat from bumps and scrapes. While researching for this new product LSM experimented with the several materials and weave patterns including nylon and polyester fibres. We found these fibres to be insufficient for abrasion protection, and the softer nature encouraged ‘fingertrapping’ when feeding the chain through the guard, making application very difficult. They also tend to develop runs when feeding over galvanized chain. Our product uses a thicker, stiffer material in a tight weave pattern. The result is a hardwearing guard with a larger minimum diameter. These important traits reduce the fingertrap effect and allows the guard to be applied much easier than alternatives, and will outlast most other materials available. 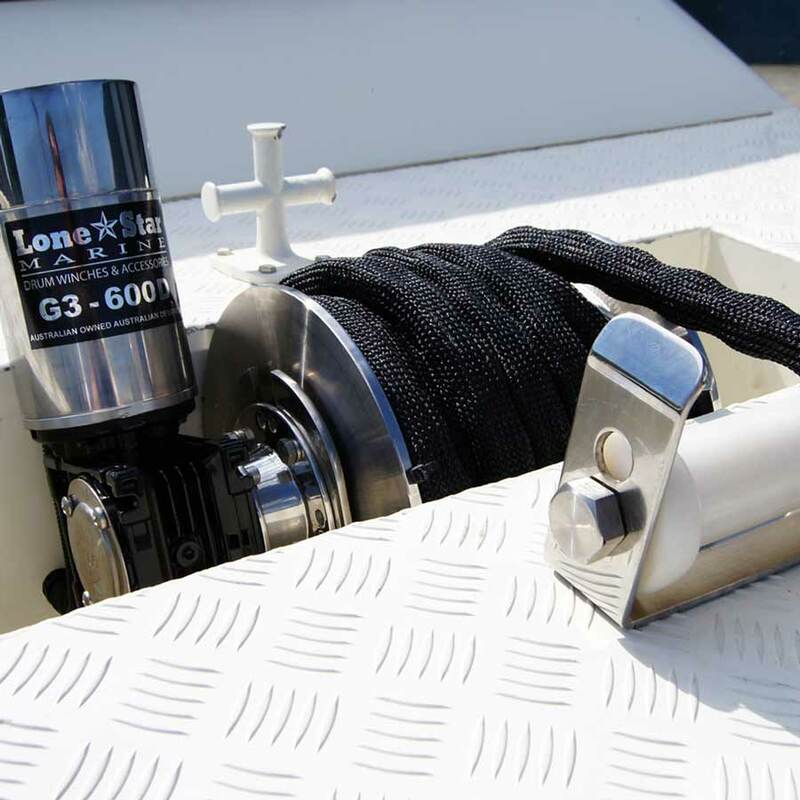 *Although every drum anchor winch company now sells some sort of “chain guard” the Original by LSM is still the only guard to utilize our blend of fibers and weave pattern. 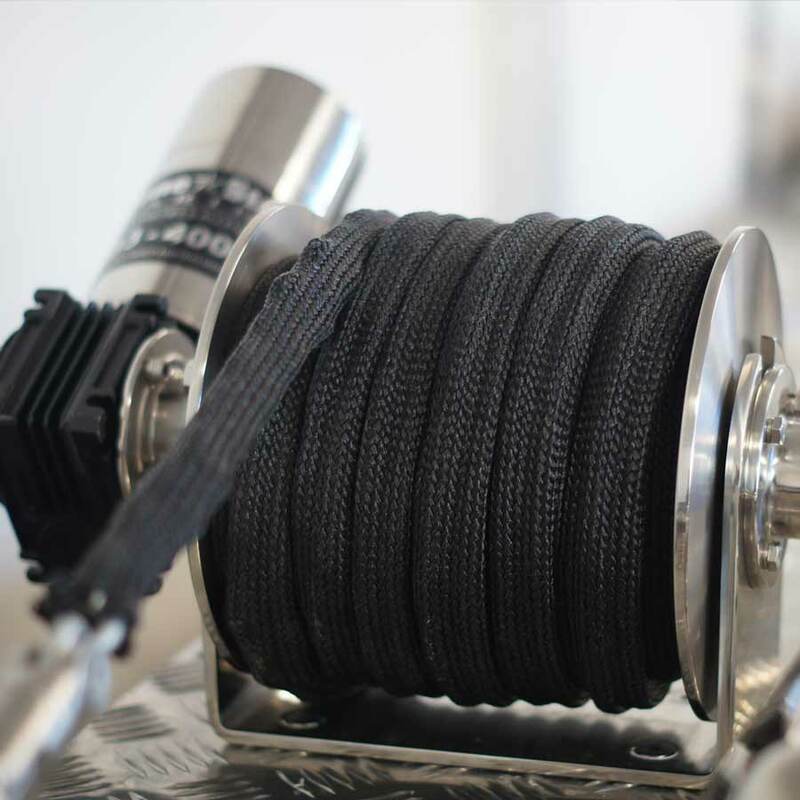 *Newly developed and designed specifically for noise reduction of your chain over your bow sprit, deck roller and / or hawse pipe. *Comes in 8, 10 & 12 metre lengths and can fit both 6mm and 8mm chain. – Remove anchor from swivel. – Milk/bunch the chain guard onto your anchor swivel and pull down over your chain. This will take around 10-15 minutes. Every 2 meters pull the end of the chain guard away from the swivel to stretch it out. – When the chain guard reaches the end, put 2 cables ties through the chain guard and the last link of chain. – Get one person to hold this end and the other to stretch the chain tight. All links should be end to end inside the guard. Place a cable tie every 1.5m through the middle of the chain guard and chain link. 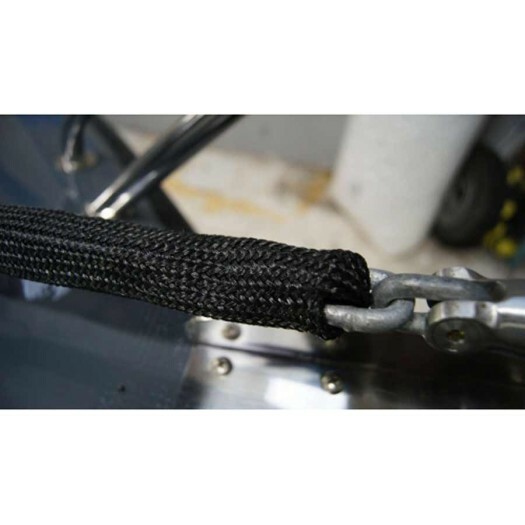 – After doing this you will reach the anchor swivel, cable tie twice through the end. – Cut off the excess and remove any frays gently with a lighter. – Replace your anchor and you can now anchor with some stealth. Don’t let the clang, clang noise of your chain scare those fish away when anchoring!